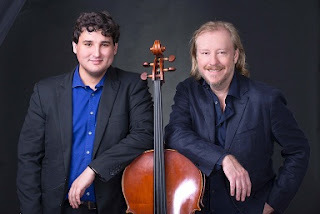 Cellist Aristide du Plessis and pianist Christopher Duigan will perform Cello Song at St Agnes Church in Kloof on May 25 at 19h30. Together with Duigan he will perform music by Tchaikovsky, Piazzolla and Faure as well as the Sonata No. 2 for Cello and Piano by Ludwig van Beethoven.